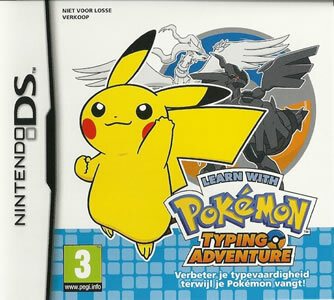 Released on the Nintendo 3DS, Learn with Pokémon: Typing Adventure is a typing educational adventure game and the first spin-off for the fifth generation games. It can be played with the Nintendo Wireless Keyboard provided with it or the makeshift keyboard appearing on the bottom screen. The game offers both guidance for beginners and enough challenge for expert typists. As the newest member of the Elite Club, the player is tasked by Professor Quentin to study the different Pokémon habitats, search for the legendary Pokémon and capture them. As a travelling trainer, they'll visit many new areas and routes, encountering several Pokémon species which they can capture in the Typing Ball, by typing their names fast enough. The player will earn medals and achievements, paving the way to becoming the Typing Master. The game features 403 Pokémon, up to the fifth generation.These Pokémon appear as wild Pokémon, some of which come as Bosses at the end of the levels, while others would require some conditions to be fulfilled before even appearing. Zoroark L Dark Path As soon as it appears, Zoroark will take the shape of one of the Pokémon in the level. The player would have to defeat them in these forms few times, before Zoroark reverts to its original form and can be captured. Serperior E Tall Forest Serperior will summon waves of leaves to damage the player. After defeating the leaves, Serperior can be captured. If the battle takes too long, Serperior will escape. Kyogre Z Islands After the player heads to the Zorua Archipelage, Kyogre will attack them and dive with them underwater. There the battle will take place, and Kyogre will simply use Hydro Pump to attack the player, several times. Groudon H Peak Groudon will summon waves of flames to damage the player. The flames must first be defeated, before capturing Groudon. Virizion Paradise Above Virizion will attack the player with energy beams, while jumping all over the battlefield. The player must defeat the beams and then capture the Virizion. Cobalion Sunset Forward Slash Way Cobalion will surround itself with metal spheres, which the player needs to defeat before being able to capture it. Terrakion Onix Mountain Road Terrakion will block the way with rock boulders. It will be available for capture, once these boulders are removed. Lugia M Waters Lugia will simply summon Cyclones and Vortexes to attack the player. Ho-Oh N. Rainbow Railroad Ho-Oh will summon many fire pillars to attack the player. Like all Pokémon attacks, these must be defeated first. Reshiram Right Ruins Reshiram will use Fusion Flare and fire balls to attack the player. Zekrom Right Ruins Zekrom will use Fusion Bolt and electric pillars to attack the player. 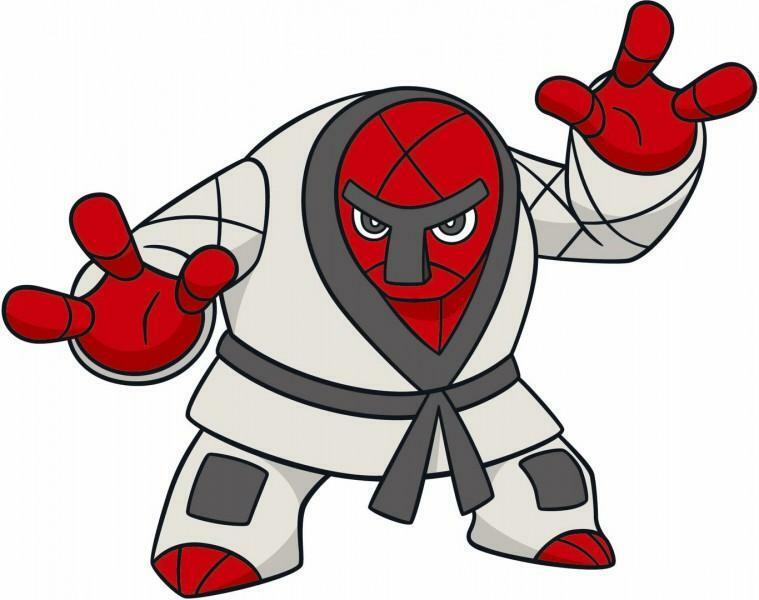 These Pokémon would require the player to destroy a certain amount of obstacles, throughout the level, capture a high number of Pokémon or reach remarkably high scores. Manaphy Dark Depths Many Pokémon have to captured and a high score has to be reached. Phione Equals Rapids The player has to destroy all the Logs appearing and reach a high score. Celebi J- Sceptile Jungle Capture as many Pokémon required to clear the fog in the area. Mew Full Stop Shipwreck Destroy all the boxes, until a Music Box is played. Within the levels, there are special buildings which can only be unlocked by obtaining their keys. These keys are randomly dropped by a Pokémon, after obtaining a fairly high score. Throughout the level, several special coins will appear, and can be collected in a similar manner to obstacles. After all these coins are collectedn a Pokémon will appear at the end of the level, giving the player a limited time duration to capture them. The whole game revovles around capturing the wild Pokémon, by typing their names. Some of the Pokémon, as mentioned are different from the others, and would require some effort to make them appear and capture them. The more Pokémon the player captures, through a course, the higher their scores would be. Each course requires the player to reach a certain score or capture a certain number of Pokémon. Based on how well the player completed their task, they'll be awared a Bronze, Silver or a Golden Medal. Standard Courses: Within these, the player will advance through the levels, capturing Pokémon by typing their names and destroying several obstacles appearing on the screen. Stationary Courses: Here, the player will stay stationary and the Pokémon will come at them. The player would have to capture as many Pokémon as possible, before the time limit elapses. 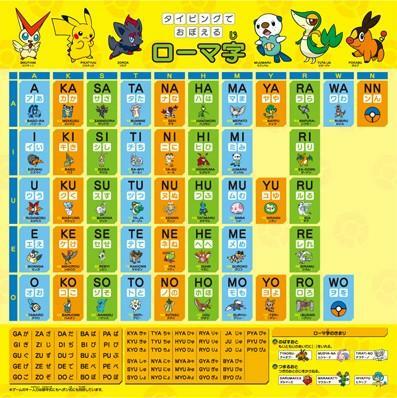 Appearance Courses: In these courses, Pokémon cannot be captured and the player's goal is to earn a maximum of points. In each level, there are letters on top of where Pokémon come from. Typing the letter as the Pokémon appears, will earn the player points. Ball Courses: Pokémon will appear on ball in the levels, and the palyer would need to type the letters appearing on these balls to earn points. Tutorial Courses: These courses are designed for the beginner typists to teach them the game basics and typing basics, in general. 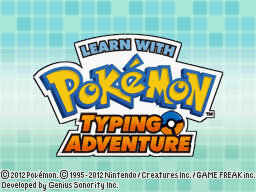 A collection of videos for Learn with Pokemon: Typing Adventure including U.S and Japanese TV Commercials plus the official info trailer from Nintendo. The Australian version of the game is identical to the United Kingdom one. In the European version of the game, Heatmor isn't available. The game is the first spin-off to be released, linked to the fifth generation of Pokémon and one of the few games to not be released in North America. There are no official numbers on the game sales, but it said that the game sold over 53 thousand copies in Japan, within the first week of its release. On GameRankings, the game earned a great score of 69.22%, over 9 reviews, while it was rated 84% on the Official Nintendo Magazine which considered it one of the top 5 spin off Pokémon games. The game wasn't reviewed by IGN and GameSpot's executives, but members of both review websites gave the game good scores, reaching above 6/10. Awkan reviewed the game on behalf of Pokemon Dungeon and gave it a solid 5 star rating due to it being extremely fit for purpose.